A highly urbanized and highly developed Australian's Queensland state capital Brisbane is a perfect tourist destination. Tourism industry highly boosts the economy which is because of the fact that the city has a lot of attractions of its own kind. Brisbane River gives the city wonderful look. Brisbane is an industrialized area with an amazing system of transportation so one needs not to bother about the whole tour. Skyscrapers make an excellent view. The city's modernization is something that tells you about the richness of culture, education, art, and technology. Along with this, the weather pattern seems to be good for traveling as there you can see hot summers and mildly warm winters. Heavy rains and thunderstorms are the sorts of weather patterns that enhance the beauty of Brisbane. Due to a historical city, you will find a lot of places that are worthy of visiting including museums and galleries. Music and food are also unique and have a peculiar quality that attracts the attention of especially those who are new to this city's culture. Sea World Gold Coast, South Bank, Glass House Mountains are some of that ample amount of attractions that you have to visit. Lone Pine Koala Sanctuary is a captivating spot you have to see. The electrifying environment of the places that offers you a lively environment surely matches your tour. Shopping spots are like you have everything in one place. Modern art galleries are the places that visitors must visit before they end their tour. 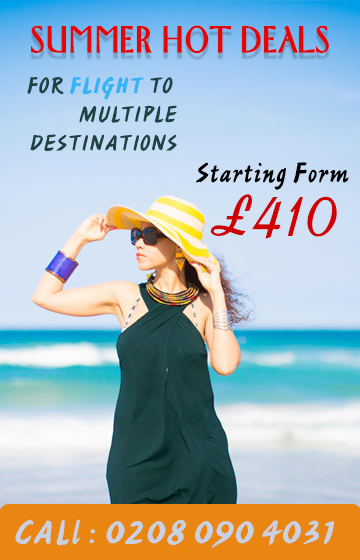 As you are surely thinking of going on a great tour then why not enjoy the discount offered by Travelwideuk.co.uk. The best services of renowned airlines are made available to you at a low price.